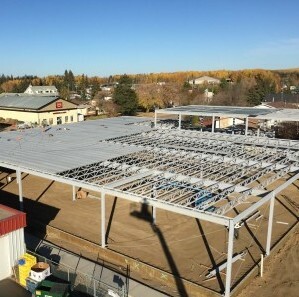 The supply and erection of conventional structural steel systems are supported with in-house engineering, drafting resources that utilize the latest in 3D BIM technology with Tekla, Inventor 3D, and AutoCAD work stations. Adding a computer controlled beam line, a new roll former for purlins and girts, two sandblast and paint facilities, our own transportation division, and dedicated erection crews make MakLoc the preferred choice for a quality product at a competitive cost and delivered on time. 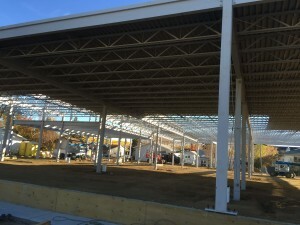 From schools and grocery stores to strip malls and mezzanines, MakLoc Buildings Inc. offers a full turn-key service to supply your project with structural steel columns and beams, cold-formed purlins and girts, steel stair units, and miscellaneous metal fabrications. Our in-house engineering and design team works closely with architects and engineers as well as end users to help make each project a success. 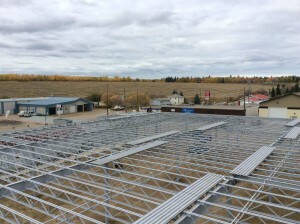 The supply and erection of conventional structural steel systems are supported with in-house engineering, drafting resources that utilize the latest in 3D BIM technology with Tekla, Inventor 3D, and AutoCAD work stations.